This luxurious cream reduces wrinkles, tones and smooths sensitive eye area. The special caring formula of OPC, Q10 and hyaluronic acid vitalizes skin and lends elasticity and suppleness. For a fresher and more glowing look. A combination of three substances can help your skin keep or even regain its youthful appearance. 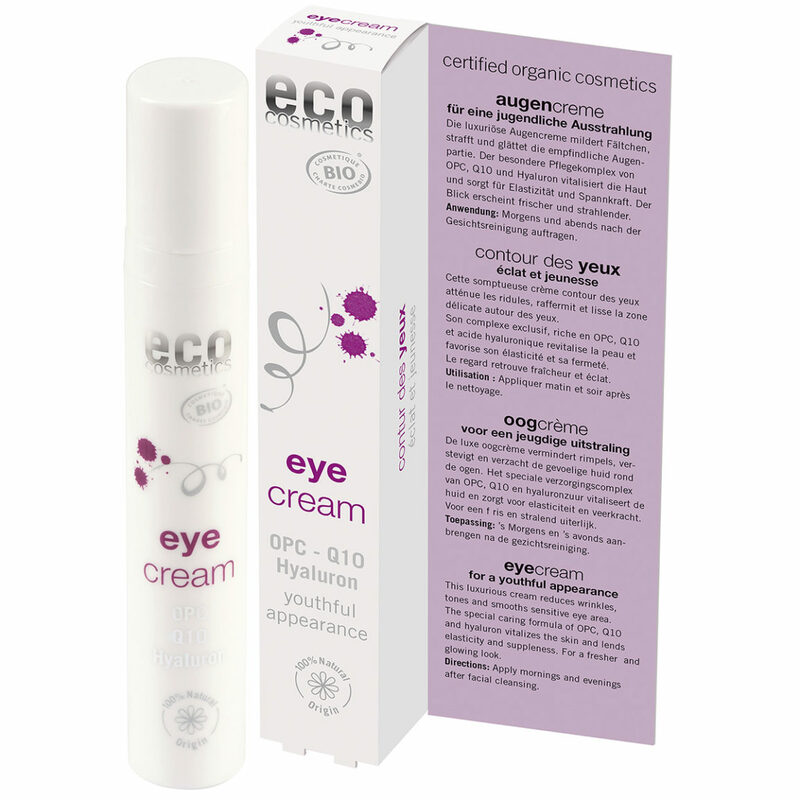 ECO Cosmetics relies on the strength of OPC (oligomore proanthocyanidine from grape seeds) to protect cells. OPC is known as one of the strongest plant-based antioxidants. It releases the skin from oxidation protection. Cells use energy reserves released in this way for their optimization. According to long-term studies cells may even be able to rejuvenate. Extra support is provided by Q10 and hyaluronic acid, which are already successfully utilized in numerous anti-aging products.